Lee Israel makes her living as a celebrity biographer. However, when that no longer pays off, she uses her talents for deception as she tries to maintain her failing writing career by forging letters from deceased authors and playwrights. 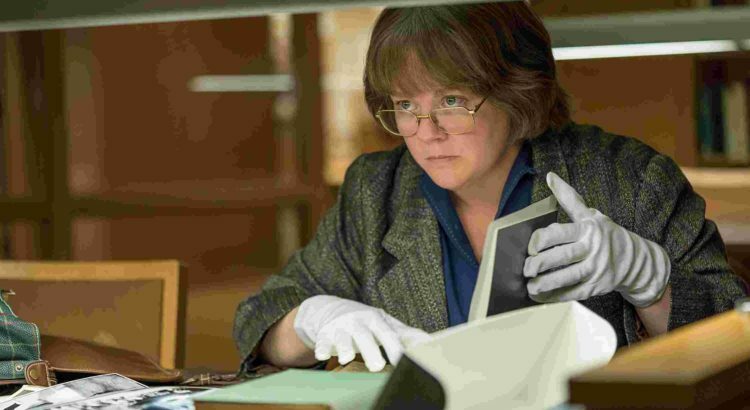 Based on Lee Israel’s memoir of the same name, Melissa McCarthy stars as the infamous forger as we explore the underlying motives and consequences of her actions in Can You Ever Forgive Me?. This biographical drama is now playing at the Michigan and State Theaters.